Preparing for Winter – more blankets! While I cannot claim the all out hardiness that our some of our snow blessed neighbors to the north can (Buffalo and Chicago, I do mean you), I did grow up in New England so I know how to prepare for winter. I know when to bring out the mittens and snow pants and when to wash them to put them away (not before April or you risk a spring snowstorm and it will be your fault (like my Red Sox superstitions which are true, too), it is a certainty that if you wash the winter stuff to early, you will actually cause a storm. so be a lamb and don’t. Obviously you need good gear – waterproof mittens are the best – I like REI (and their outlet) for great last season deals (frugal, you know) and in addition to the scraper, and salt or sand in your car (and a small shovel if you can deal with the thought of actually having to use it) you should have jumper cables (even though I currently don’t), and car blankets. like lap blankets for a sleigh ride but better. We use these to warm up when the car isn’t warm enough (no garage) and have ever since my kids were in car seats. I still have two oldish small baby blankets but recently decided to up my game (they are teenagers and have outgrown the baby blankets) and started shopping for cute blankets and got distracted by all the great choices. And I decided that the car wasn’t the only place I needed new blankets. 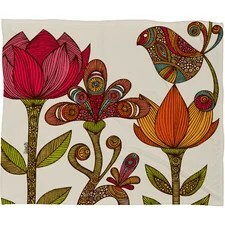 I found some sweet fleece blankets from Wayfair.com – Check out the gorgeous fleece and microfiber blankets and throws. And since I am no where near ready for the holidays, I went shopping at not one, but two shops at house parties tonight, one was a Holiday Shop by local artists and the other was at the fabulous (and newly opened) Senseandhumor.com, I got some gifts there and some maybe something for me, too. More than maybe. Go to the website for better pics, I was shopping and enjoying snacks and taking pictures at the same time…that’s my excuse anyway. Looks like I have some holiday shopping all wrapped up!